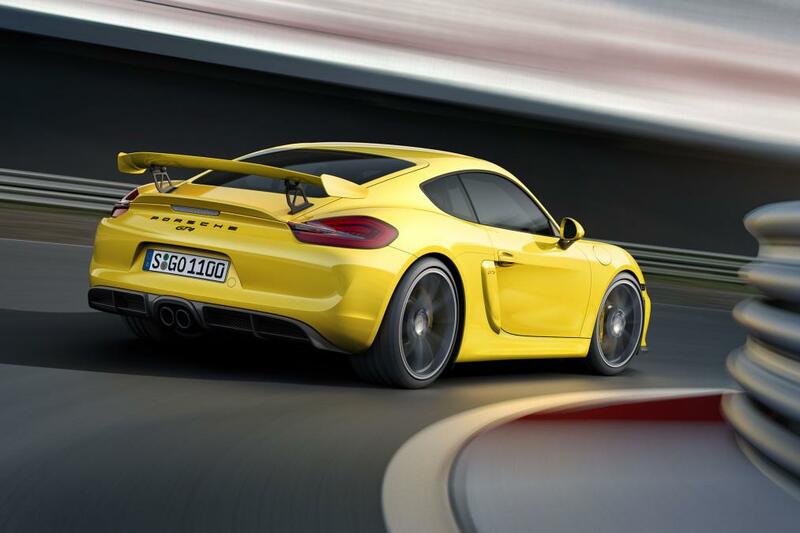 It was the car we always wanted out of Stuttgart and it’s finally here; the new Porsche Cayman GT4 will bridge the gap between the track and the road with finessed performance and honed driving dynamics. Perfect for those who like to drive to the likes of Oulton Park, show their car some corners and then drive it home, the Cayman GT4 mixes 911 GT3 chassis development with the power capabilities of a Carrera S and can very well be seen as the former’s understudy. From the exterior of the Cayman GT4, it’s evident that the car is here to make a point, with its fixed rear wing and enhanced bodykit reducing lift and also generating positive downforce at high speeds. Meanwhile, the suspension has been inevitably stiffened and lowered by 30mm for better control whilst travelling on those beautifully crafted 20-inch alloys. In the back of the Cayman GT4 is the Carrera S-derived flat-six engine bored out to 3.8-litres and produces a very useful 380bhp. That’s a 45bhp power hike over the recently launched Cayman GTS and all 380 horses get put through a manual gearbox, and only a manual gearbox; no PDK trickery here, just full-on elbow grease in the changes. Such performance amounts to a 4.4sec 0-62mph time – 0.5sec quicker than the GTS – all the way to 183mph, with economy running at 27.4mpg on the combined cycle and 238g/km of CO2. 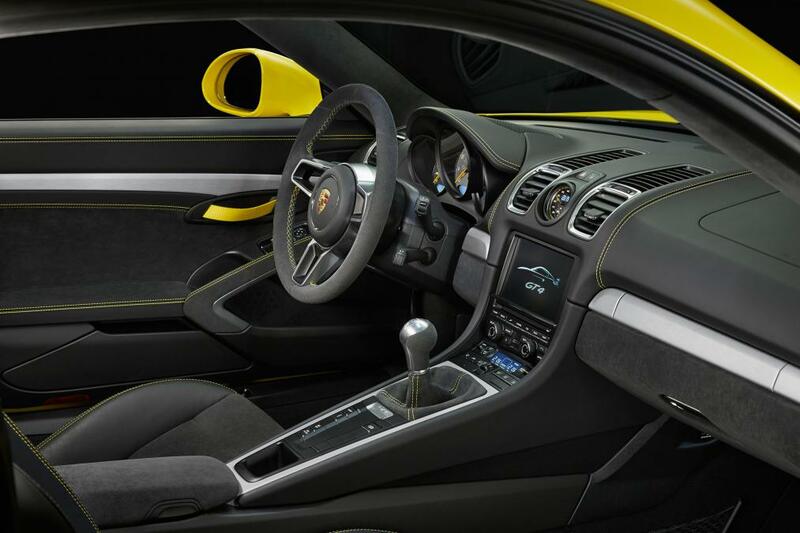 Inside the Cayman GT4 you will find high-quality sports seats trimmed in leather and Alcantara with GT4 stitching to remind you of the special vehicle you’re entering and a GT4-specific steering wheel, while Porsche has also given the car a DAB radio and climate control, but little other creature comforts. 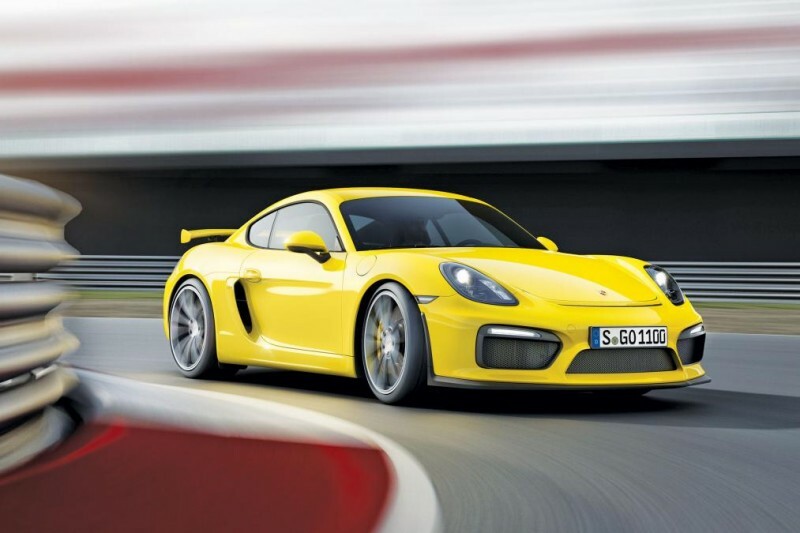 Getting technical, the Cayman GT4 makes use of Porsche Torque Vectoring with a rear limited slip differential that varies the distribution of torque to the rear wheels, while brake pressure is applied to the inside wheel during cornering. Order books for the Porsche Cayman GT4 are now open, although you’ll be hard pressed to get one before the end of the year, no doubt, if you’re only just thinking about putting pen-to-paper for the £65,000 car. Those lucky UK individuals that got their orders in well in time will start taking delivery of their Cayman GT4s from March.